a healthy chuckle or two. the humor of Miss Mermaid, then you're in for a treat! Caribbean will have you rolling on the floor laughing! who advertises outings with his "Charter the Derelict!" 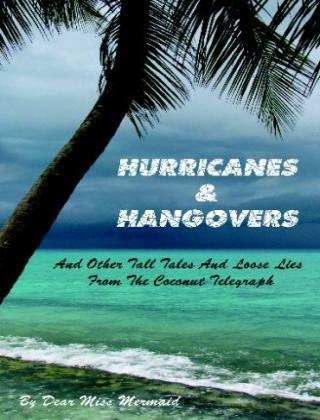 Miss Mermaid's stories in "Hurricanes and Hangovers"
stormcarib.com. Buy 2 - This book makes a great gift! description of their adventures both ashore and at sea. between so a mistake is a real downer. posts for them long before the word "blog"
encouraged her to keep writing. both honest and hilarious at times.